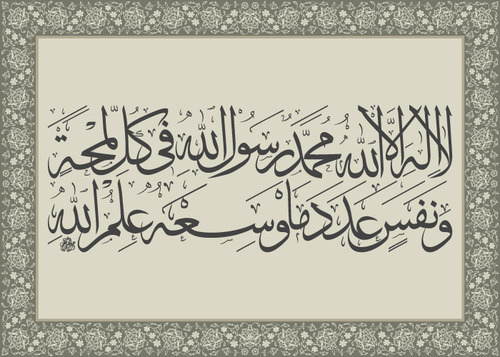 No one typifies this more for me than Shaykh ‎Aḥmad Ibn Idrīs al-ʻArā’ishī al-ʻAlamī al-Idrīsī al-Ḥasanī. 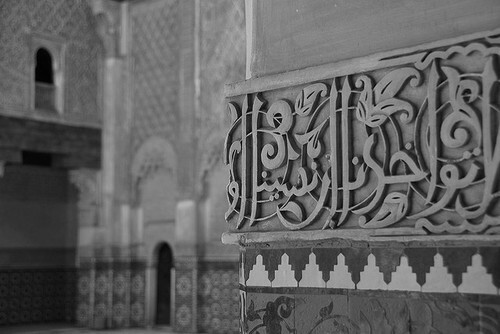 Ibn Idrīs was born into a pious family in the suburb of Maysūr in the district of al-ʻArā’ish near Fez in Morocco in 1750. He was a direct descendant of Sayyidīna Ḥasan b. ʿAlī, the grandson of the Prophet (ﷺ). He was often referred to (by modern academics) as the “enigmatic saint” as very little was known about him (in comparison to the great influence he had on the Muslim world), and he did not leave behind a compendium of written work. It said he was also bestowed with another name, this time by the Prophet (ﷺ) himself, the name was al-Shifā’ meaning the healing. 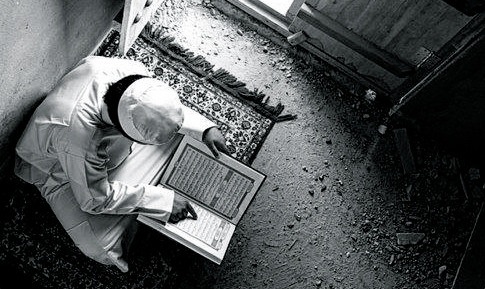 Most of the information available on ‎Aḥmad Ibn Idrīs is through works compiled by his students. Even before he had reached adulthood, Ibn Idrīs would seclude himself and devote most of his time to worship and contemplation. He memorized the Qurʾān and several other important Islamic texts before moving to Fez and attending al-Qarawiyyīn at the age of twenty. 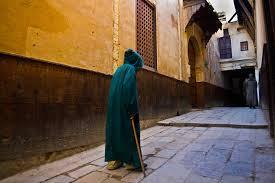 He excelled at Fez, and went on to become a teacher at al-Qarawiyyīn within 10 years. He became very close to a Mauritanian scholar called Muḥammad Limjaydrī b. Ḥabībullāh, he would go on to play an important role in the spiritual development of Ibn Idrīs. Shaykh Limjaydrī was impressed with Ibn Idrīs that he introduced him to his own teacher, Shaykh ‘Abd al-Wahhāb al-Tazī. Shaykh al-Tazī was struck by the eloquence of Ibn Idrīs and the tremendous power he had in his voice. 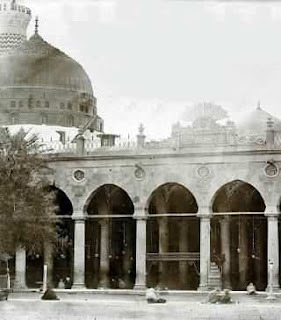 Ibn Idrīs took three paths from al-Tazī: the ancient Sufi paths, the Shādhiliyya and Nasqshbandiyya, as well as a new spiritual path called the Khaḍiriyya which was initiated by the great Shaykh ‘Abd al-Azīz Dabbāgh. Both al-Dabbāgh and al-Tazī were saints in their own right, and had seen the Prophet (ﷺ) in many dreams, they themselves had taken knowledge, and paths directly from the Prophet (ﷺ); al-Tazī now wished to bring Ibn Idrīs to this level. He lamented the deterioration of Islam and Muslims in general; he wanted to revive forgotten practices and teachings of the Prophet (ﷺ) no matter how small. He would often send his best students as missionaries to Muslim lands to revive them and their societies; they were in essence healers, this would be his lasting legacy. Later in his life he moved to Yemen. He was aging and felt obliged to pass on as much knowledge as possible. Some scholars have said that the revival of Sufi thinking in Yemen was brought about by the arrival of Shaykh ‎Aḥmad Ibn Idrīs. Shaykh ‎Aḥmad Ibn Idrīs’s originality lay in his humility, in his conscious effort in wanting to follow the Prophet (ﷺ) in every action with the utmost sincerity. He was a luminary that was intent on giving and reviving the Prophet (ﷺ) in people’s lives and homes. He wanted God and the Messenger (ﷺ) to be the centre of everyone’s lives. I can’t help but feel this is precisely what we are lacking now: the presence of God and His Messenger (ﷺ) in our daily lives. Ibn Idrīs left behind four core principles that encapsulate his teachings and most importantly, his way, clearly. To remember, before every word or action, that God will question one concerning that action. To perform every word and action for God alone. To make one’s heart a home for mercy toward all Muslims, great or small, and to give them honour and respect, which is their right. Ibn Idrīs is a true luminary and the light he had can still be seen penetrating the hearts and minds of many to this day. This transcendent light today is carried through his students who went on to form their own paths, such as Muḥammad b.ʿAlī al-Sanūsī (d. 1859), Ibrāhīm al-Rashīd (d. 1874), Muḥammad ʻUthmān al-Mīrghanī (d. 1852), ‘Abd al-Raḥmān ibn Maḥmūd (d. 1874), and among later figures, Ṣāliḥ al-Ja‎ʾfarī (d. 1979).